It is estimated that 5 million older Americans are abused, neglected and exploited each year yet only about one in five of those crimes are ever discovered. WEAAD was launched in 2006 to promote a better understanding of abuse and neglect of older persons and to highlight its significance as a public health and human rights issue. Each year communities and organizations around the world plan activities and programs, both small and large, in an effort to make a difference in the lives of vulnerable elders. 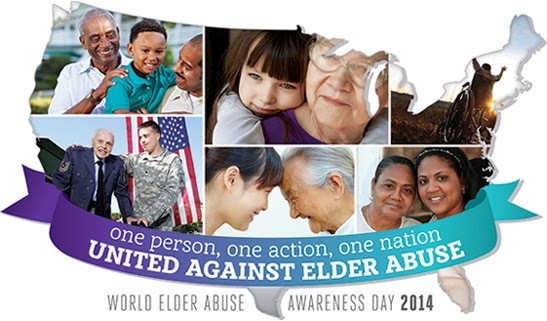 Consider taking a moment to visit the Administration for Community Living (a part of HHS) website on WEAAD, for a variety of tools, tips and resources you can use in support of efforts to raise awareness about the importance of preventing, identifying and responding to this often hidden problem (World Elder Abuse Day Tools).